Play this interesting 3rd Grade Vocabulary Game to identify and spell important math terms that every third grade student should know. What a great way to review and practice key math words and definitions! 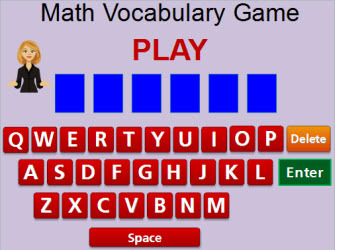 Return from the 3rd Grade Vocabulary Game to the 3rd Grade Math Games webpage, or to Math Play.